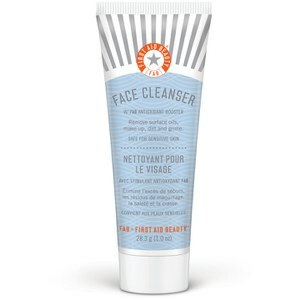 First Aid Beauty Face Cleanser gently cleanses the skin, removes surface oils, makeup, dirt and grime. Its whipped texture transforms into a rich cream when blended with water. This cleanser is infused with a powerful botanical antioxidant blend that works hard to scavenger free radicals. Preserves the natural oils that protect the skin. Calms any redness or irritations. Recommended for sensitive or irritated skin. Dampen the face and dispense a dime-sized portion of cleanser onto fingertips. Delicately massage into all zones of the face. Remove with a softwash cloth or a splash of water. 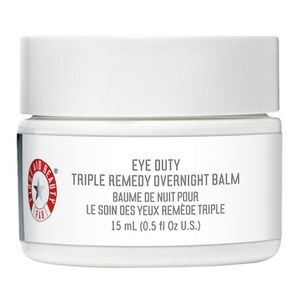 Recommended for daily use in the am and pm. This product removes makeup and cleans my skin gently. I have rosacea and it doesn't irritate my skin. Most cleansers that are advertised for sensitive skin don't seem to really clean, but this one does.